It is an essential requirement that Freemasons must profess a belief in God, regardless of how they worship or address Him. Membership is open to men of good character and repute, irrespective of race, colour or religion. Members are required to observe certain confidences which might easily be referred to as "secrets", but these are entirely of a ceremonial nature. Freemasons are expected to be law-abiding citizens - any member convicted of a criminal offence being liable to suspension or expulsion from the Order. 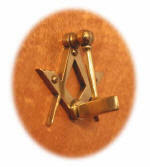 Freemasons come from all walks of life and from all social and financial backgrounds. All members in a Lodge are regarded as equal and will receive a warm welcome in any Irish Lodge or any Lodge overseas operating under a Grand Lodge recognised by The Grand Lodge of Ireland. Freemasons are taught to practise charity, and to care, not only for their own members, but for the community as a whole, by both charitable giving, and by voluntary effort. For more detailed information on membership, visit the Grand Lodge of Ireland website by clicking here.